July 2014 - Guardian Safety Solutions International, Inc.
Gilbert Arizona firefighter Mike Conner is deputy chief of Gilbert Fire & Rescue Department, Community Services Division. Here is his advice which originally appeared in the Arizona Republic website. Question: What should I do if I have a cooking fire? Answer: Cooking fires are the number one cause of house fires and injuries. The main contributor is unattended cooking, which is the cause of nearly 90 percent of these fires. 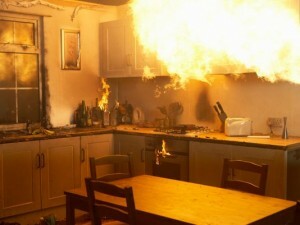 Fires are more likely to start in the kitchen than in any other room in your home. The National Fire Protection Association reported that in 2011 cooking was involved in an estimated 156,300 structure fires and caused 470 deaths, 5,390 injuries and more than $1 billion in property damage. The statistic that should be an eye-opener is that more than half of reported non-fatal cooking-fire injuries occurred when people tried to fight the fires themselves. Most of these are from incorrect techniques like using water to fight a grease fire. Never leave food that is cooking unattended — whether frying, grilling or using the broiler. If you must leave, turn off the appliance. When you’re baking, check it regularly and never leave your home. Keep your work area clear of anything that can catch on fire: oven mitts, towels, food packaging. Loose clothing can be a danger, wear short and close-fitting sleeves when cooking. Also be aware of loose-fitting aprons that can dangle onto burners. When using cooking oil, if it starts to boil, remove it from the heat source and let it cool before adding food. If oil catches on fire, wear an oven mitt and slide a lid over the pan or use a baking sheet to cover it. Having a lid out on the counter, even if you’re not using it, is a good idea in case of a fire. A fire extinguisher kept in the kitchen is also a great idea. If you can’t cover a grease fire or can’t access the fire extinguisher, call 911. Not everyone cooks so well that they can be on Top Chef or Food Network Stars. 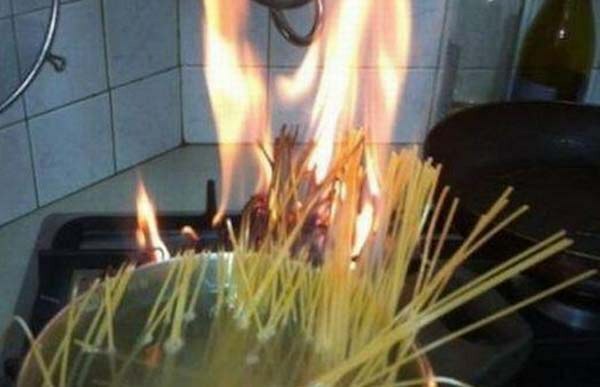 But these funny yet pathetic cooking disasters illustrate how dangerous cooking can be. Seriously, you can actually catch spaghetti on fire! Checkout these disastrous cooking FAILS! Thanks in large part to advances in medicine, seniors are living longer and are a rapidly growing segment of the U.S. and world population. But health issues are not the only threat to the longevity of the elderly. After medical issues, the leading cause of death and injury for older Americans are accidents and fires. There are ways for seniors or their caretakers to help avoid some accidents, but fires are not only highly preventable, kitchen fires can be effectively stopped in their tracks. 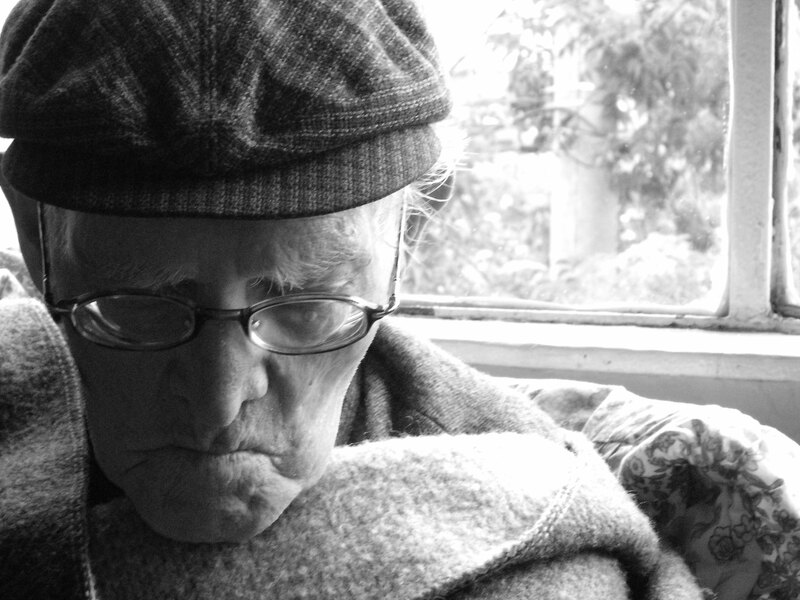 For the elderly, particularly aging men, this could mean the difference between life and death. 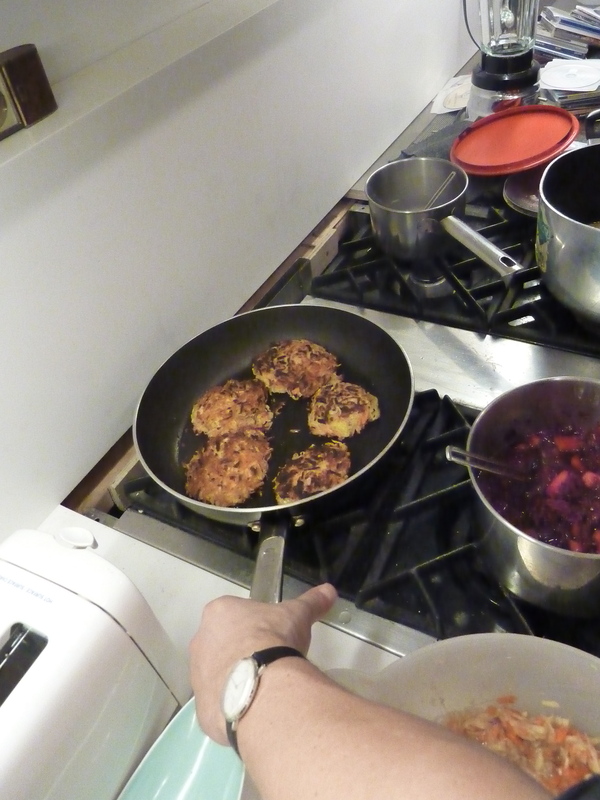 Cooking was, by far, the leading cause of all residential building fires and injuries. The relative risk of individuals aged 65+ dying in a fire is 2.5 times greater than the general population. In 2001, the elderly (over 64 years old) represented 12% of the U.S. population but suffered more than 30% of all fire deaths. Older males are 50% more likely to die in fires than women. Older American Indians and African Americans are at much greater risk of dying in a fire than the older white population. Protecting families worldwide since 1985, Guardian Safety Solutions International Inc. is the recognized leader in the development and manufacturing of residential range top fire protection systems. GSSI’s mission is to develop and distribute quality safety products that provide customers with peace of mind, while protecting lives and property. See ICC-ES Listing No PMG-1166 at www.icc-es.org\pmg. Guardian Safety Solutions International, Inc. (GSSI), the leader in the development and manufacturing of residential range top fire protection systems, will exhibit at the Georgia Fire Safety Symposium, July 28 – 30, at the Georgia Public Safety Training Center, Forsyth, GA. Guardian Safety Solutions International, Inc. (GSSI), the nation’s largest provider of residential range top fire suppression systems, asks cooks to not “drink and fry” this 4th of July. More fires are reported on the 4th of July than any other day of the year according to FEMA. The Guardian is designed to detect and extinguish cooking fires and at the same timeprevents re-ignition. Once it detects heat at a pre-determined temperature, a signal is sent to release the extinguishing agent to suppress the fire and to shut off the gas or electric supply to the stove in order to prevent reigniting. “Whether it is a single home or an apartment at risk, putting the fire out quickly is imperative to minimize damage and injury,” Rouse said. Dallas based Guardian Safety Solutions International Inc. (GSSI), the leader in the development and manufacturing of residential range top fire protection systems, will exhibit at the Florida Fire Equipment Distributors Association (FFEDA) Annual Conference and Trade Show at Orlando world Center Marriott, June 21 – 23. FFEDA is a non-profit trade association comprising fire equipment companies and manufacturers from throughout the United States. “We are excited to demonstrate our ‘Guardian Solution,’ or range top suppression system that puts out kitchen fires within seconds,” said Paul Rouse, Guardian SSI’s administrative officer. “Homeowners and facilities such as nursing homes, senior residences, college dorms, and hotels or motels can rest at ease knowing that potential cooking fires stand no chance in a kitchen protected by Guardian.” He added that kitchens can be retrofitted as well. For more information, contact GSSI at 800-786-2178 or visit www.guardianssi.com. “Like” Guardian on Facebook and follow on Twitter @GuardianSSI.